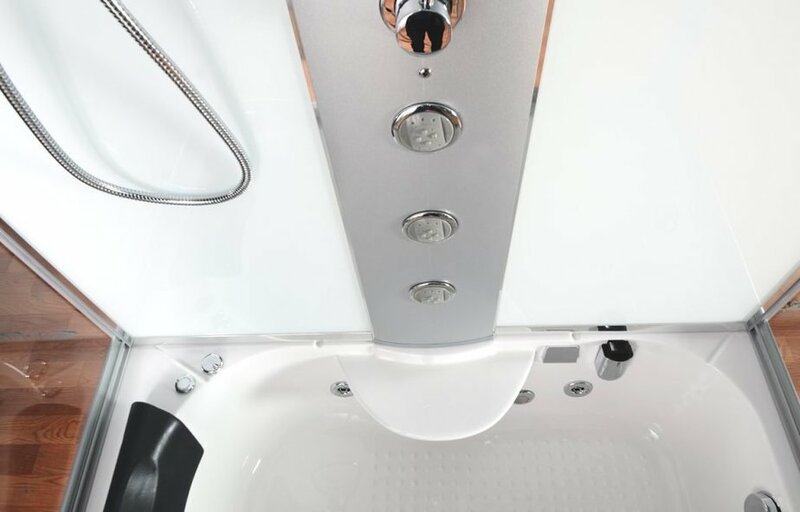 The Aegean 1350 is absolutely packed full of features within its small yet mighty frame. 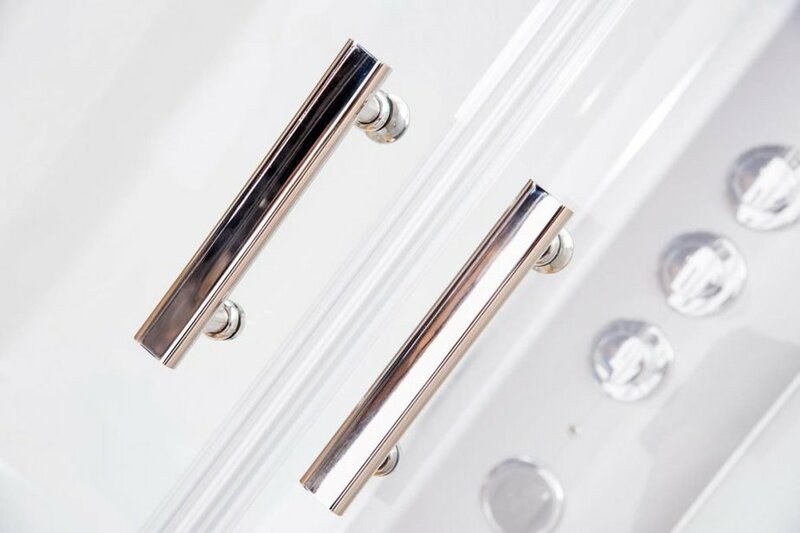 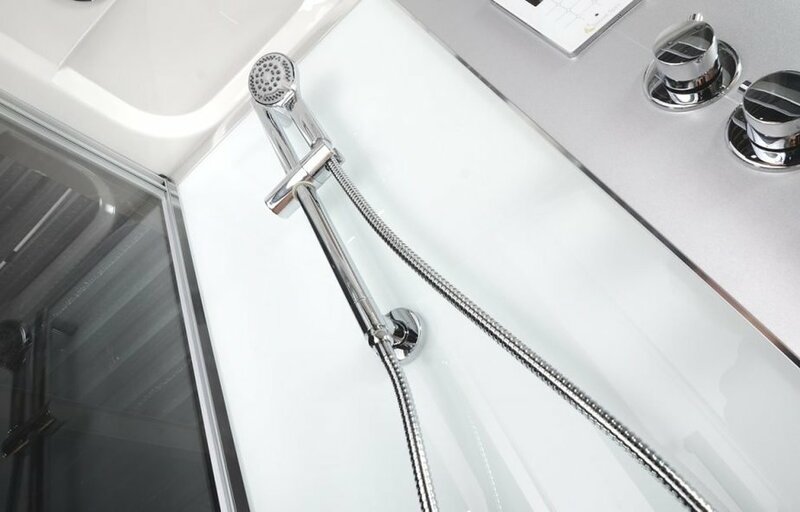 Still retaining it’s clean and stylish good looks carried by its classic Crystal White interior and its modern chrome fittings this, ‘best of both worlds’ model is designed to look stunning in any bathroom. 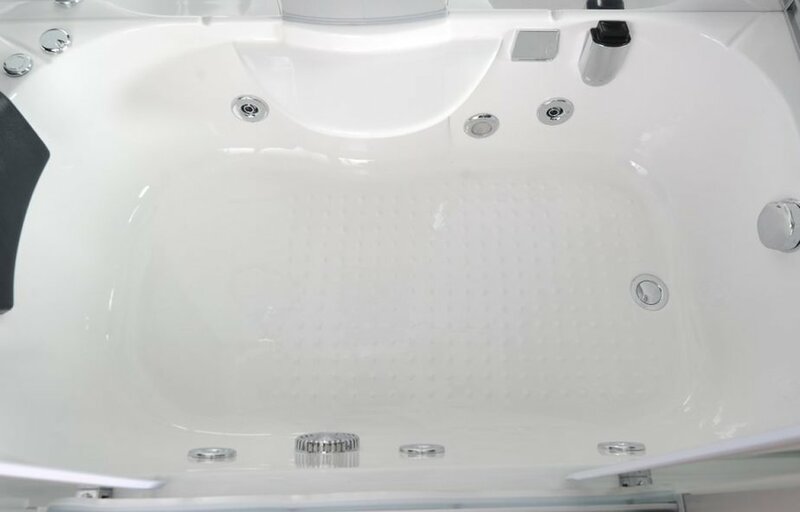 Vidalux’s best selling whirlpool bath model and with good reason. 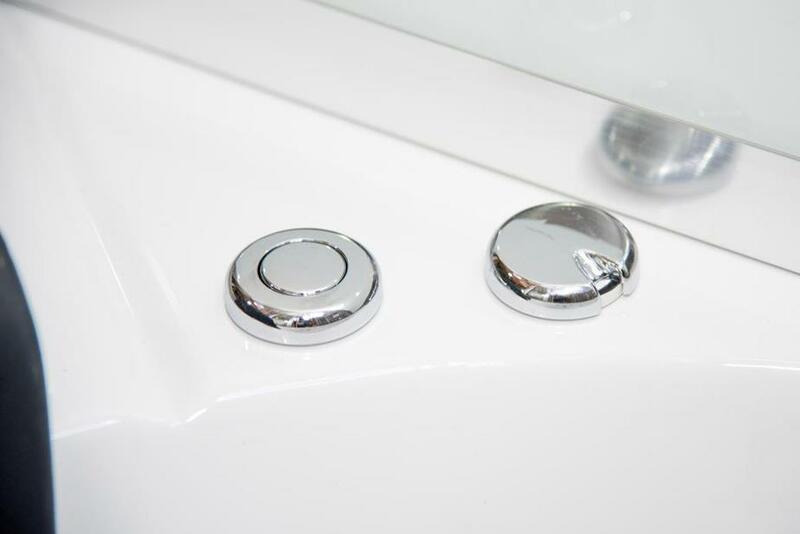 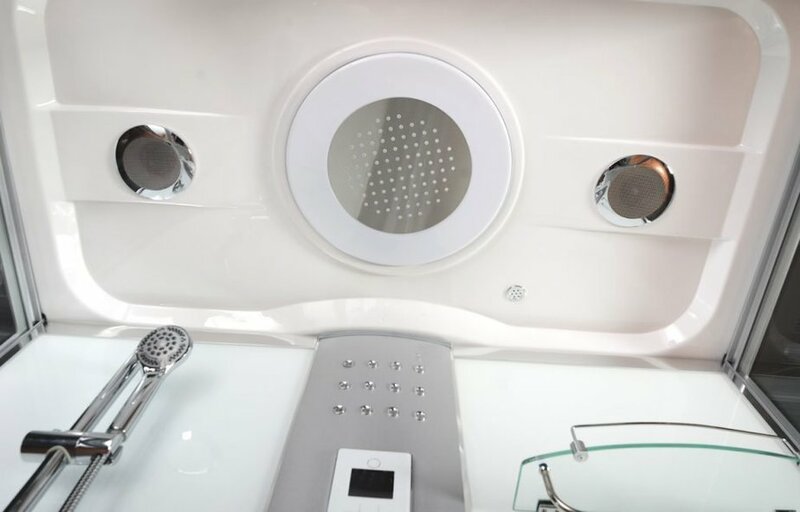 6 high powered whirlpool jets with air mix controller feature and the 3 multiple spray body jets on the center column deliver the highest level of hydrotherapy massage. 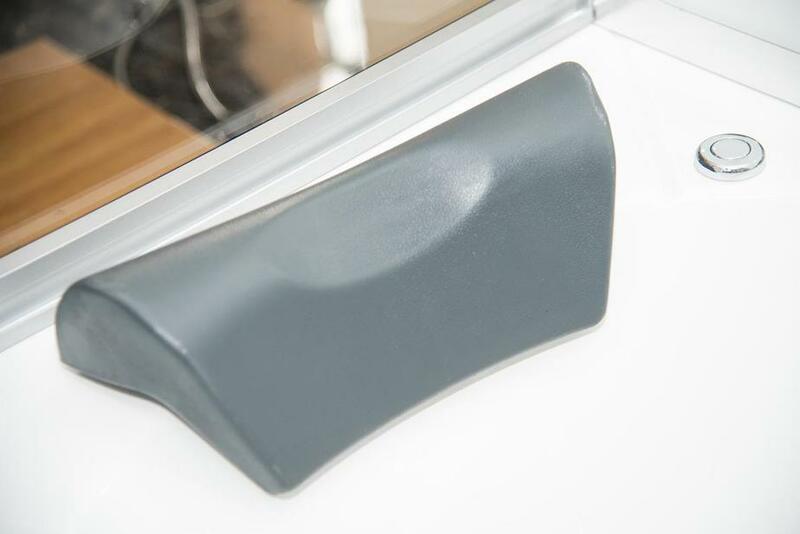 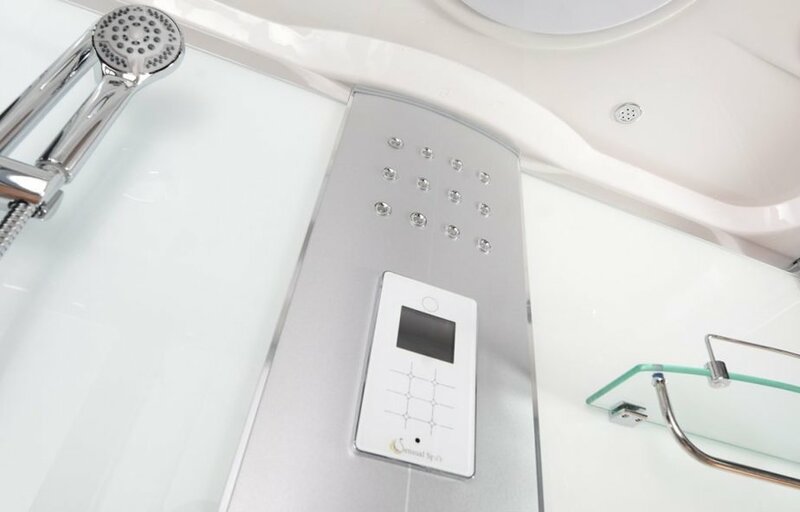 The Bluetooth connection feature means you can easily play your phone’s media through the Aegean’s high-quality speaker system, while the quick start steam system offers all the health benefits associated with steam saunas in the comfort of your own home. 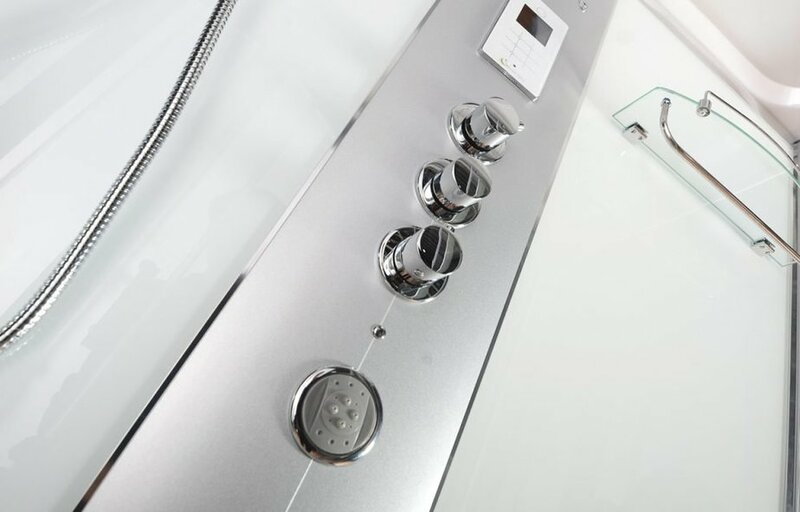 All powered effortlessly with the help of our robust revolutionary touch-screen control panel. 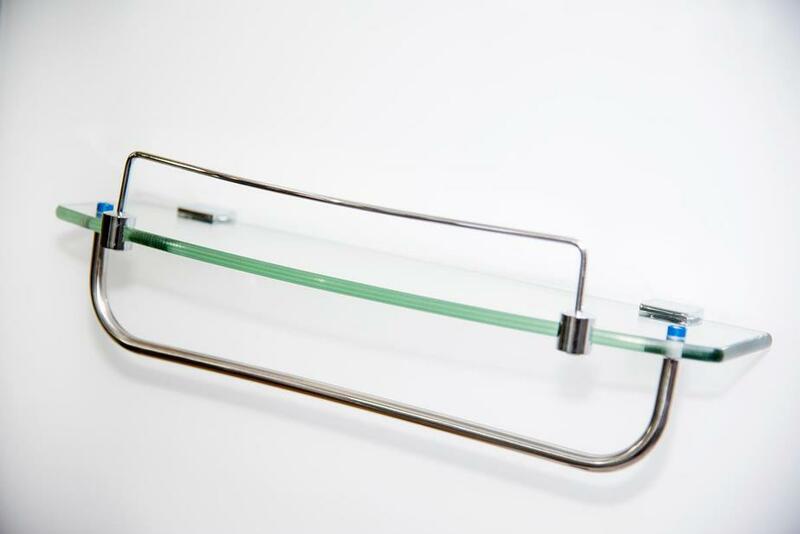 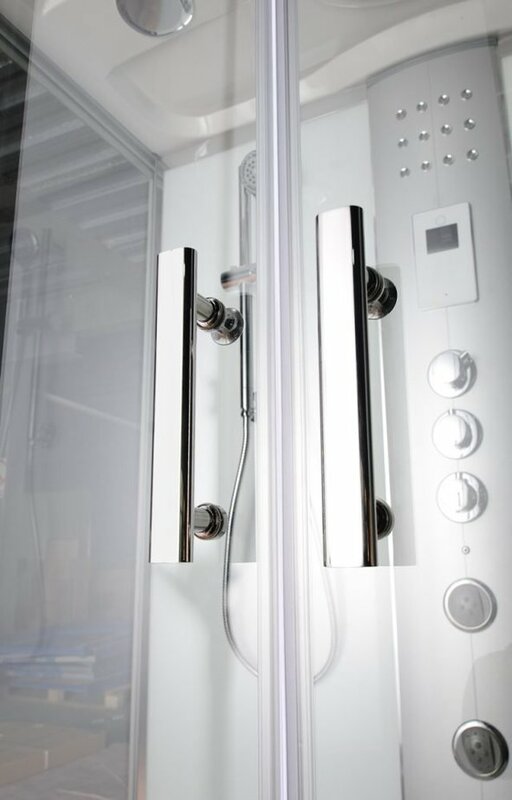 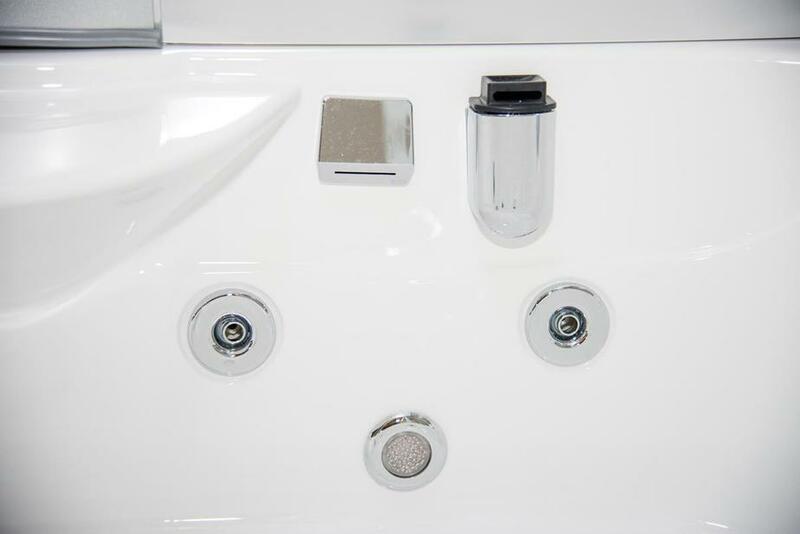 Add this to the large monsoon, high-quality chrome hand shower, storage shelf, Ozone sterilisation unit and the thermostatic valve, the list of features is endless.